Quiz: Which Budget Is Right for You? The proposal includes a change to USPS’ retiree health benefits prefunding requirements and allows for a one-time postal rate increase, to be proposed by the agency’s board of governors. The plan would provide $30 billion in cash relief, savings and revenue by 2016, while saving the federal government $23 billion over the next 11 years, according to budget estimates. Obama’s plan calls for the Postal Service to make payments into its retiree health benefits fund based on actuarial calculations, rather than the fixed amounts paid through 2016 currently required by law. It also would provide temporary relief to the agency by reducing payments into the funds by $10.6 billion over the next two years. These payments, in addition to the $11.1 billion USPS defaulted on in 2012, would be added to payments made over a 40-year amortization schedule, starting in 2017. The White House would allow the USPS Board of Governors to institute “modest, one-time” rate increases for its market-dominant products, such as standard and first-class mail. 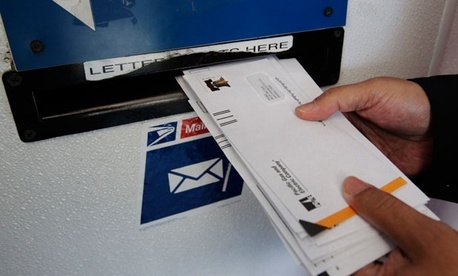 The plan includes a provision to allow the Postal Service to eliminate Saturday mail delivery. USPS announced Wednesday it has cancelled plans to change to a five-day schedule, after facing push back from Congress. Obama included $11.5 billion in savings from returning a surplus in the Postal Service’s Federal Employees Retirement System fund. His plan also calls for the Office of Personnel Management to develop a USPS-specific calculation for future pension contributions that more accurately reflects the agency’s evolving workforce and pay structure. White House budgeters acknowledged the surplus estimate may be exaggerated; OPM has said the excess funds are closer to $2.6 billion. Finally, Obama’s proposal would subject the Postal Service to PAYGO, which would require all additions to the federal deficit to be calculated upfront and prohibit borrowing for additional spending. Obama’s reform plan is similar to one included in last year’s budget. Lawmakers failed to strike a deal to overhaul the agency last legislative session, but Obama vowed to continue to work with them to reach a compromise. “The administration will work with the Congress and postal stakeholders to secure these necessary reforms,” the White House said. Homeland Security and Governmental Affairs Committee Chairman Sen. Tom Carper, D-Del., plans to introduce a new reform bill soon.